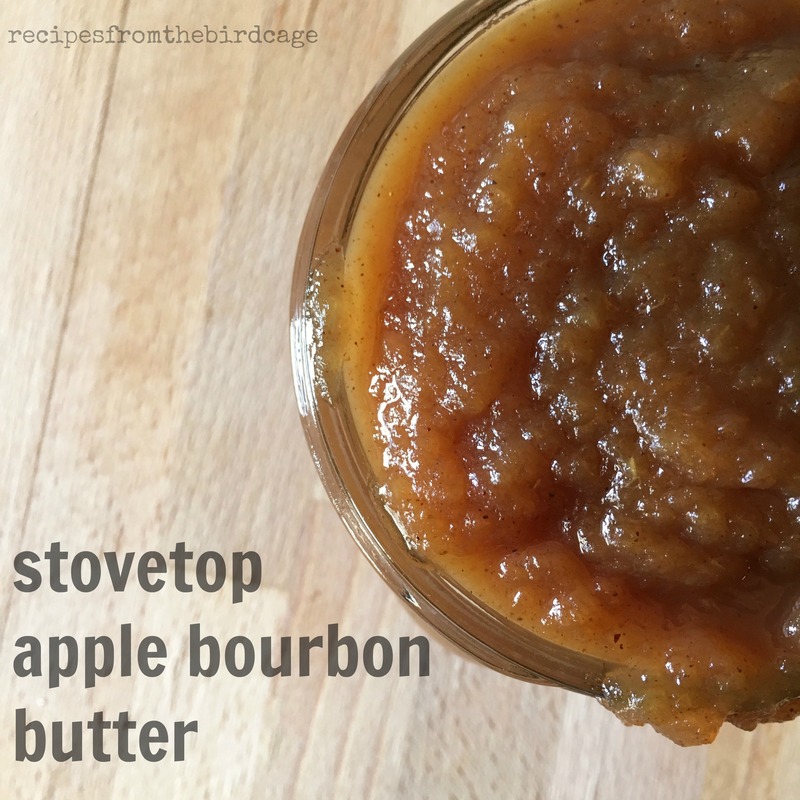 Stovetop Apple Bourbon Butter – recipes from the birdcage. 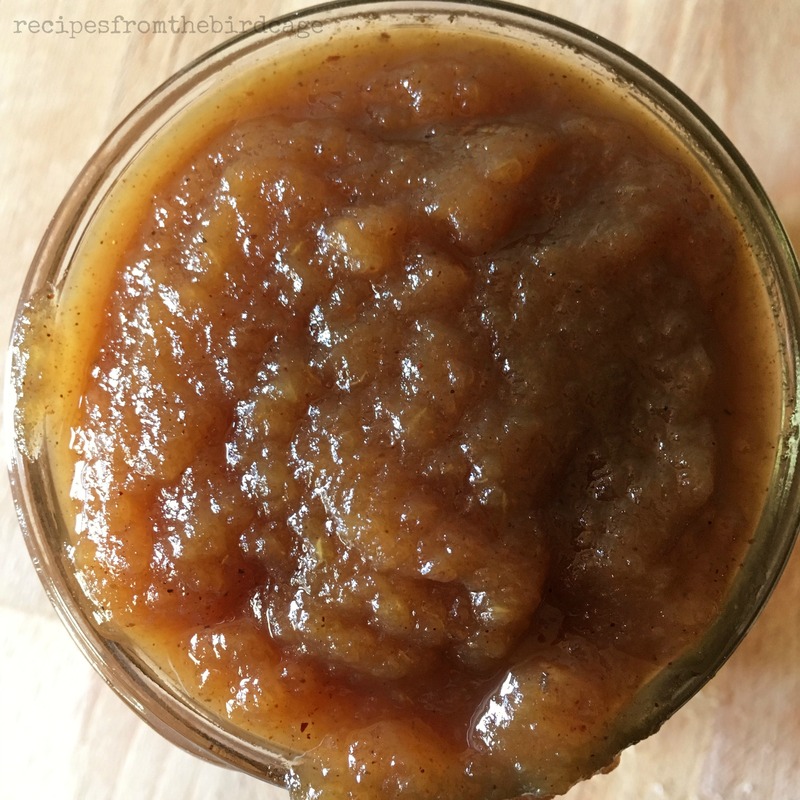 The Apple Bourbon Butter is cooked on the stovetop and contains plenty of warm spices, bourbon, and jarred applesauce. No peeling and dicing of apples needed and it comes together in a half hour! Set it on the stove and get started on the pancakes. It’ll be done by the time your last pancake comes off the griddle. Stored in an air-tight container in the fridge, I’d keep it no longer than one week – if it lasts that long. The Apple Bourbon Butter can be used on pancakes, waffles, bagels, toasts, or stirred into oatmeal. In a medium pot, bring everything to a simmer over medium low heat. Stir every three minutes to eliminate burning. Remove from heat and allow to cool slightly. Transfer to airtight container and store in fridge for up to one week. This makes about 8 2 T. servings. Pingback: oatmeal pecan pancakes with apple bourbon butter | recipes from the birdcage.